Imagine a dish so delectable it gets its own day of the week, every week. Whip out the Tecates and guac, and welcome to Taco Tuesday. Tacos are unequivocally my ultimate comfort food. With a never ending amount of flavor combinations this is one dish that can continuously be reinvented, and Chicago has no shortage of spots to sample this classic dish. I honestly can’t even count the number of summer nights I’ve ended at Wicker Park’s famous Flash Taco. Sitting pretty on the intersection of Damen, North and Milwaukee Flash Taco offers counter service delights till well into the night (2 AM to be exact). At three bucks a pop Flash Taco serves up all the regular favorites: grilled steak, shredded chicken and fish tacos, but it’s their home-made salsas that really set them apart. Flash Taco traces its roots to the early 1970's, pay a visit at 1570 N Damen Ave.
Moving farther south to 300 W 26th Street you'll find another of my favorite haunts, Carbon - a live fire Mexican grill that first opened its doors in 2007 in Bridgeport. Carbon’s claim to fame lies in its signature grilled steak with unmatched flavor in every bite. Throw it in a corn flour tortilla topped with fresh house-made salsas and crunchy lettuce, for a taste that is sublime. If steak isn’t your thing try the tequila-lime marinated grilled chicken, you will not be disappointed. It's nearly impossible to live in the city and not spend at least one sunny afternoon parked at Big Star at 1531 N Damen Ave. sipping on their exceptional micheladas or sampling the deceptively delicious margaritas whilst feasting on their flavorful tacos. The chefs at Big Star do an amazing job of creating some truly fantastic concoctions including their version of taco al pastor with spit roasted pork shoulder and grilled pineapple, and my top choice: the taco de chorizo cordero, featuring a spicy mixture of lamb and pork chorizo topped with radish and cilantro. Big Star’s overwhelming popularity often means pretty long waits. Adjacent to the main restaurant, which incidentally is built from a converted petrol station, you will find the teeniest of taco stands, delivering the same quality we’ve come to expect from one of Wicker Park's most in demand destinations. When your pallet tires of the fancy frills of modern taquerias head down to El Milagro (1923 S Blue Island Ave.) in Pilsen for a taste of some authentic Mexican flavors. El Milagro is well known for their tortillas, used by restaurants throughout Chicagoland. Their take on the taco is hearty and rich, and served cafeteria style. Patrons can choose from staples such as pork in red or green sauce and breaded steak or chicken. There is also beef tongue for the truly adventurous. Just a stone’s throw from Welles Park at 2213 W Montrose Ave. you’ll find El Asadero, a tiny blink-and-you’ll-miss-it hole in the wall that makes a mean taco. 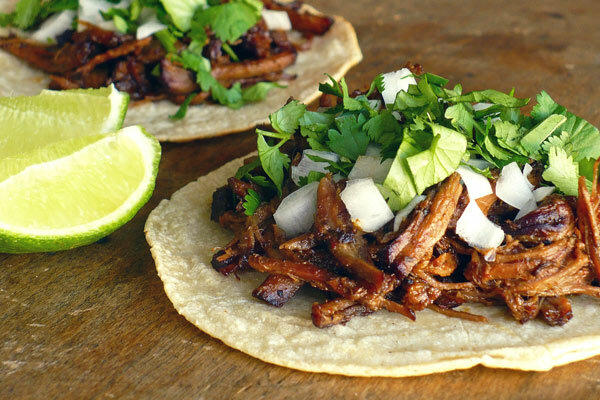 Their charred steak and taco al pastor are topped with fragrant cilantro and fresh salsas. Starting at $1.50 these treats won’t break your bank, but be sure to bring the bills for this cash only spot. So move over pizzas and hotdogs, Chicago has a new favorite staple and it’s here to stay, at least for the summer.